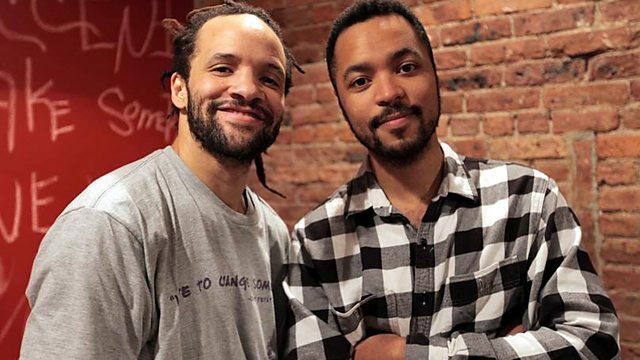 Morgan Quaintance visits African-American dance artist Savion Glover in his hometown of Newark, New Jersey, to discover more about the renowned tap dancer's life, work and art. Tony award-winning African-American artist Savion Glover is not your average tap dancer. From Broadway prodigy to global star, Glover's journey has been a remarkable one, fighting lazy cultural stereotypes and striving to make tap dance relevant to new generations. Often compared to basketball legend Michael Jordan, Glover is an explosive creative force of the hip-hop generation who has fundamentally reimagined what tap dance can be. However, schooled by the likes of Sammy Davis Junior, Glover is also a passionate torchbearer for the great tap trailblazers of the past. Presenter Morgan Quaintance visits Glover in his native Newark, a notoriously tough inner city in New Jersey, to discover more about his life, work and art. He also delves deeper into the history of a unique African-American tap dance style that Glover is the leading contemporary exponent of.